The music was a commission for a contemporary choreography. Medieval music is the principal source of inspiration, especially the 14th-century Catalan Red Book of Montserrat (Llibre Vermell), re-elaborated by using digital and contemporary techniques. The musical project focuses on the idea of a modern composition inspired by ancient music. The goal is to create a score based on contemporary languages and, at the same time, strongly intertwined with elements of an ancient spirit. The early music material basically comes from both sacred and secular music of the Middle Ages, mainly between XI and XIII centuries. It is a music style characterised by expressive contrasts, with sharp sonorities and basic rhythmic modes in primordial poliphony, and melismatic dulcet melodies in monodic chants. The whole operation is reinforced by combining the traditional music with the electronically produced material, both original and obtained by digital processing. 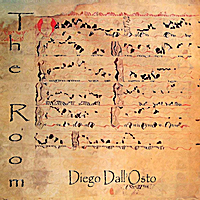 Diego Dall'Osto studied Organ, Composition and Electronic music and obtained a PhD in Psychology at the UAB (Autonomous University of Barcelona, in Spain). His activity as a composer of instrumental and electronic music ranges over several areas: concert, theater, opera, ballet, sound installation and video art. His music has been awarded and has been performed at international level.